After all these years I’m still learning things about myself. I’ve just recently come to the realization that I’m a visual person. 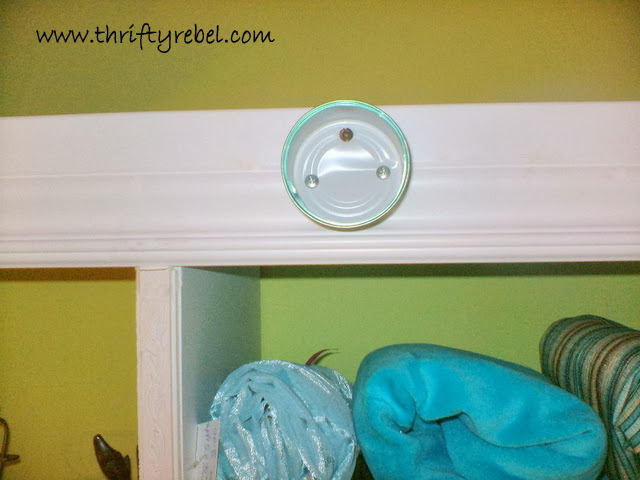 Not sure why I didn’t pick up on this before, but it just dawned on me when I was hanging up my thrifted paint shelving unit in my craft room. It’s only taken me 52 years to figure this out. I’m quick like that. That’s probably why I live in a continuous cycle of craft room organization to disorganization and back again…. and again.. and round and round I go. So in an attempt to get myself out of this cycle (oh I can dream can’t I?) I’m thinking up ways of organizing things while keeping them out in the open at the same time because, frankly, in this girl’s craft room what isn’t seen isn’t used. Wreaths are one of those craft items that I’ve never really known how to store. Usually they’re the rabbits that get piled on with other wreaths or who knows what, whether they’re on a shelf or in a closet. Every wreath I’ve used in recent years has been thrifted, and I have to buy them when I see them… if I don’t chances are I probably won’t see one when I need one. Such is life! But then they get put away somewhere and never get used. So I asked myself… how can I get them up and out of my way, but still see them? And myself answered… oh yes… I answer myself all the time. Myself said to me… hang them up silly. Now goodness knows I always listen to myself. So that’s exactly what I did. 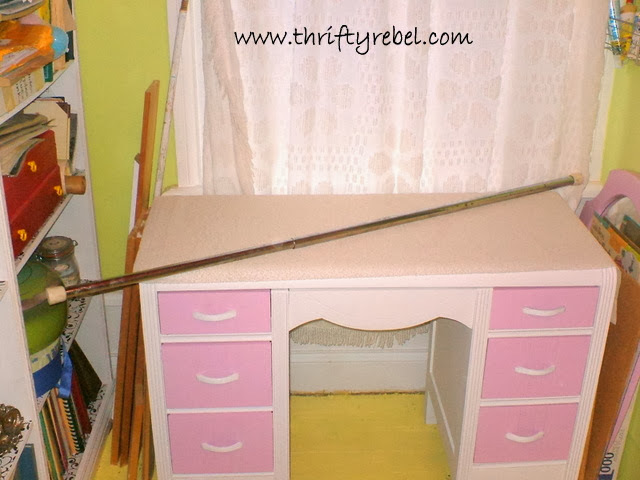 All I needed was a couple of small cat food cans, and the shower curtain rod that I rescued from the dump a while ago. 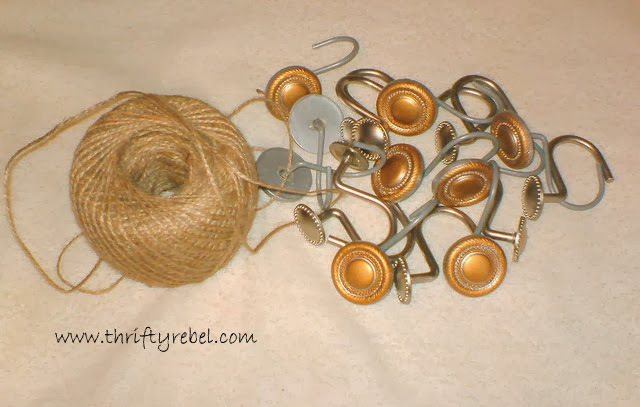 With a couple of screws, two sets of shower curtain hooks that I thrifted for $1 each, and some hemp twine from the dollar store…. and it’s all done. Nothin’ to it. Those cat food cans are quite the decor statement don’t ya think? lol. I’ll probably be painting them so they disappear. Other than that… I’m sooo happy with it. Now I can hang up all those odds and sods… keeping them out of my hair, but still in arm’s reach. In case you missed them here are my most recent posts. How clever! Please come to my house and help me figure out what to do with all the crap in my studio. 🙂 I think the only thing that will help me at this point is a backhoe and a large dumpster just outside my studio window! What a great idea, Tuula! Love the look of the shower hooks to hang your wreaths! Gives everything a decorator's vibe! Very unique! Get out that is so clever and you know I love a trash chic project! You amaze me Tuula! Thanks 4 sharing your very clever idea. Tuula you are a genius! And..you might be the only person I know who has more wreaths than I do!! 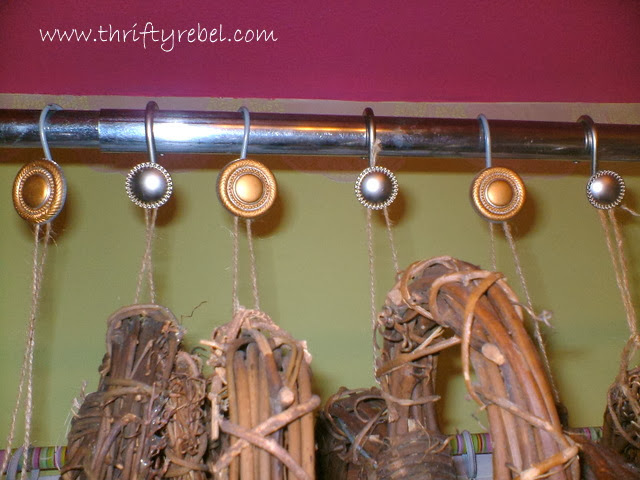 I love the idea of hanging them like this! Nice job girl! 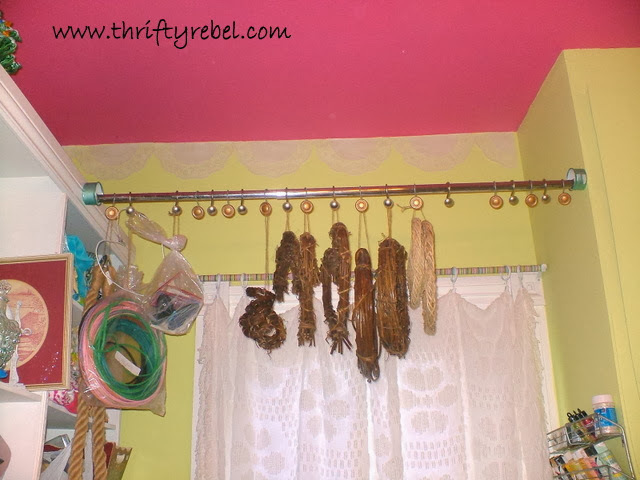 I love to hang things up and get them out of my hair. 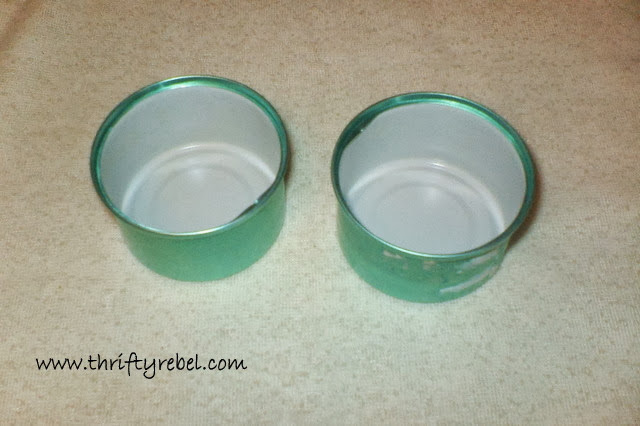 Great repurposing with the cat food tins! Very clever idea. I really like it. I usually just open the attic door and toss the wreaths in, but this is much better. I can put a pole between the rafters and hang them. Such a cute idea! Mine usually get hung on a bulletin board, but I like your idea a lot. Tuula this is so clever and cute. I love this idea. Thanks for sharing this great idea. That is the smartest idea I've seen. Wow, what a great idea. I've been trying to come up with a way to dry my herbs and this will be perfect. Thank you so much for your great idea. Brilliant!! I think this is one of the most creative and useful ideas I've run across in a long time! Great job! You're a genius. Thank God I have a cat. Good idea … I have my wreaths in the attic storage in plastic bags just stacked on top of each other. This is a good solution to keep them in good shape, even leaving them in the bags. Thanks. Great idea! i would never have thought of the cat food cans….maybe b/c i don't have a cat???? What a great idea! 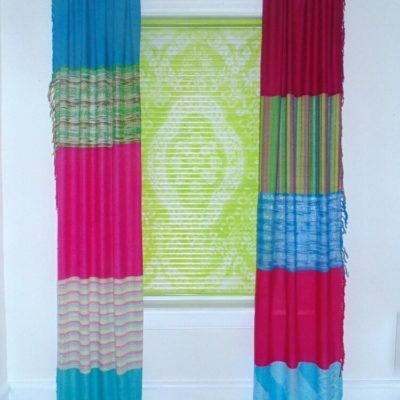 Tension rods are very inexpensive as well & you don't have to make any holes in your walls to use them. I hang many things on them. 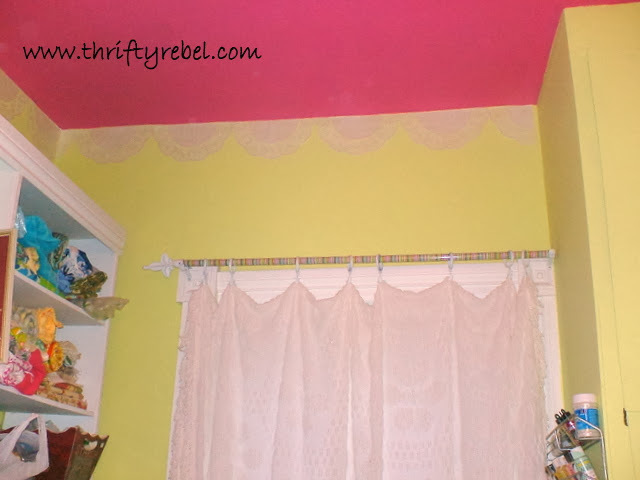 Right now all of my wreaths are hanging on my laundry room walls but this would use so much less space! I agree, you are a genius. 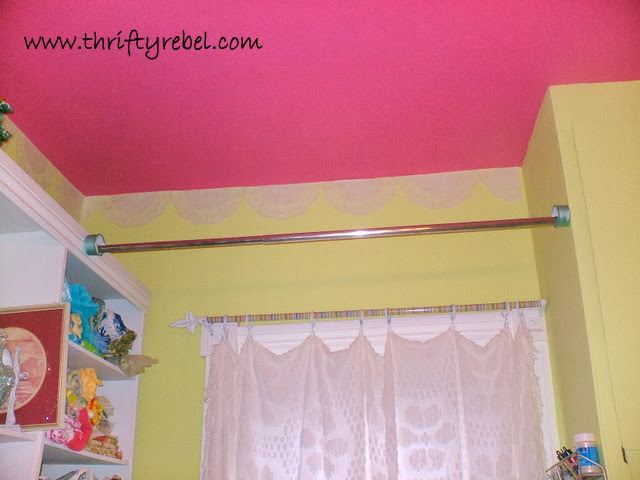 I've been trying to figure out how to hang a shower rod for a clothes drying rack in the laundry room. The rod likes about an inch or so reaching. I may need a deeper can, but this will work!! Great idea and inspirations!! Thanks! You're so welcome Kathy! I'm so glad my project was helpful. I hope it works for you.